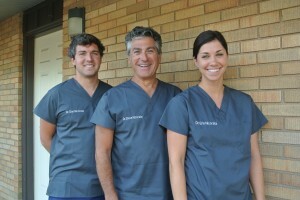 At Nicorata Dental, we pride ourselves on delivering excellent dental care for patients of all ages. Our goal for each patient is to provide complete oral health in a comforting setting. Our team is held to a very high set of clinical and ethical standards, and we pride ourselves on meeting those standards in a welcoming, stress-free environment. All available treatment options are presented and discussed with complete detail to provide a knowledgable experience for patients. Treatment outcomes are more favorable when the best route of treatment can be determined by the doctor and patient together. The Drs. Nicorata have a combined 40+ years of experience and offer a comprehensive blend of traditional and modern techniques for our patients. We are proud to serve the southwest suburbs of Chicago and plan to provide excellent dental care for many years to come.